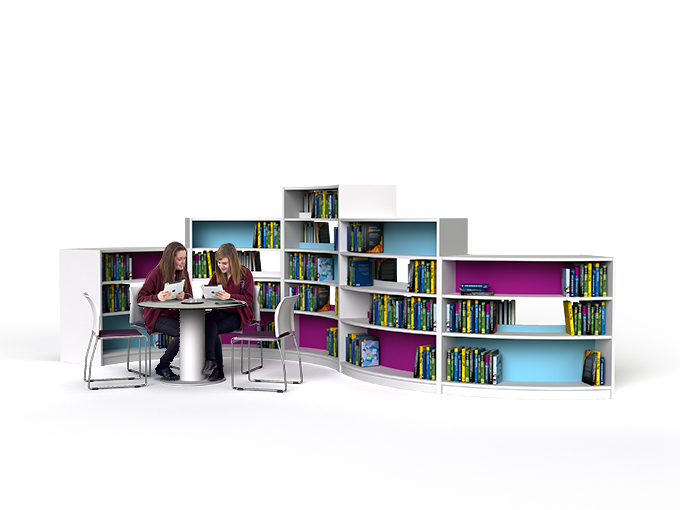 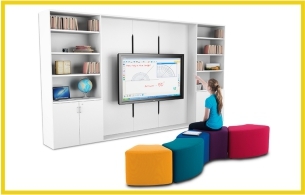 The zioxi BookWorm® is our modular, curved system which combines shelving, workstations and display areas with an attractive, bright & fun space divider. 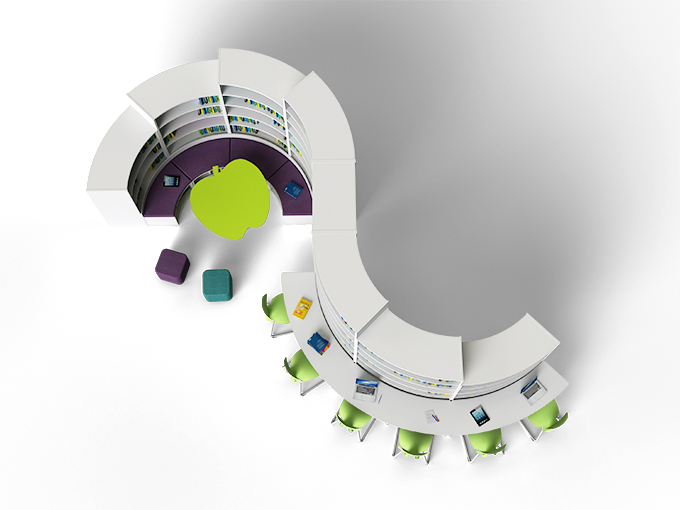 Each module is designed for stability and rigidity. 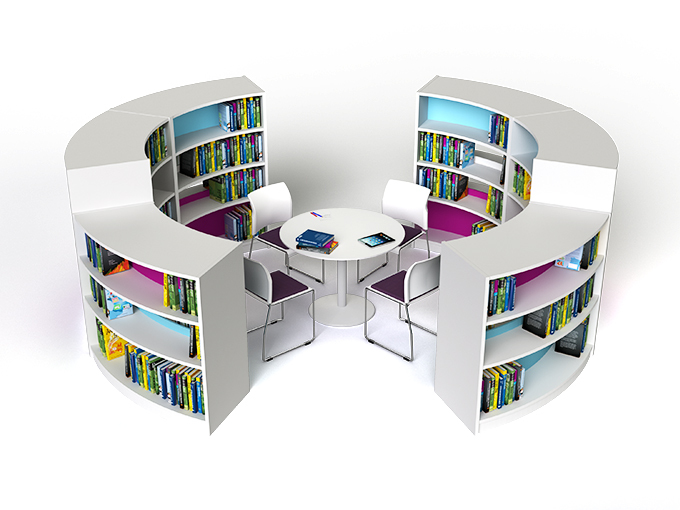 Options include power, data and tablet / laptop charging modules. 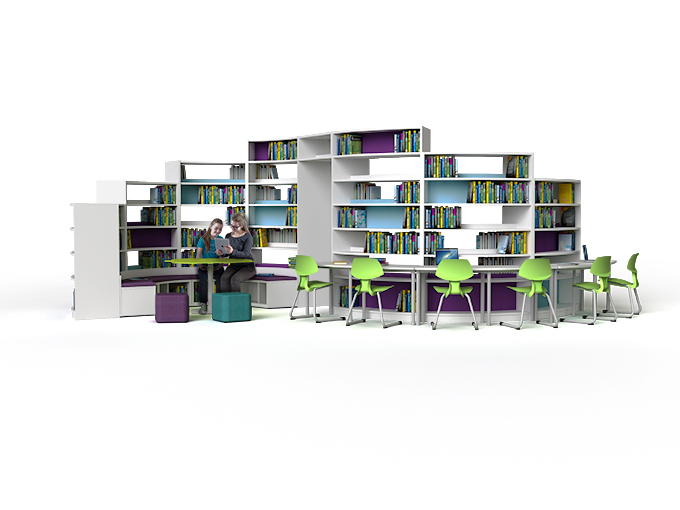 Available in a wide variety of configurations, colours and finishes.